After moving into a new home with his family, a young boy mysteriously falls into a coma. His parents are desperately trying to find help, and meet Elise Rainier who specializes in paranormal activities. In order to help their son, they have to figure out the terrifying truth, and as it turns out it doesn’t lie within the house. Director James Wan definitely brings back the feel of old horror movies like The Shining. He doesn’t rely on over the top shock effects, and confronts the audience with the one thing they fear the most: The Unknown. Insidious slowly sneaks up on you and will hold on to you tightly until the twisted ending. The chilly and dark atmosphere might stick with with some people long after they have watched the movie, because it is not the usual horror flick. I was actually surprised about the PG-13 rating since I think it is very creepy for children at that age, but at the same time I felt like James Wang couldn’t push certain shock effects far enough because he was limited due to the rating, which is why especially the graphic scenes fell a little flat. And to loosen the tension in the well- executed scenes they added Specs and Tucker, two characters that seemed rather unnecessary than funny. Why can’t we just leave Horror movies for who it’s meant to be: Grown Ups? If Hollywood is so eager to get a bigger crowd of people into the movie theaters, how about releasing an r-rated version and an edited PG-13 version? That way everyone would be satisfied. 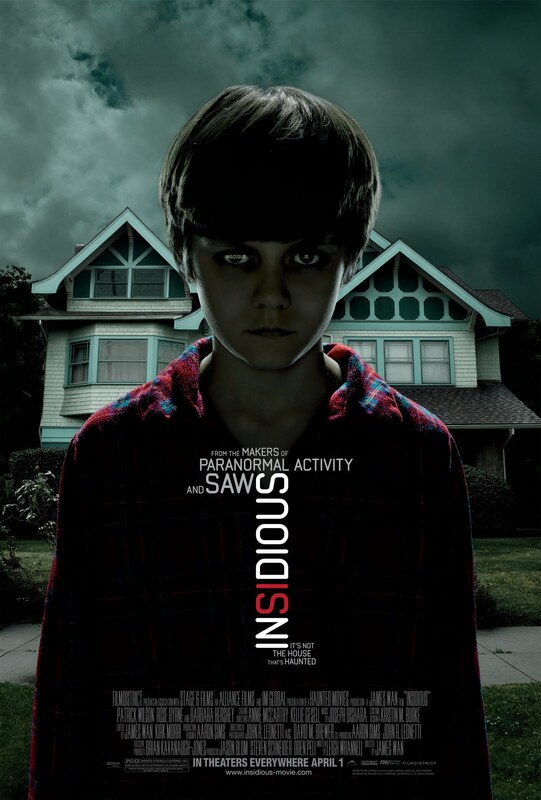 But either way it goes, Insidious is a nice ride with awesome cinematography and good actors. Insidious: Chapter 2 will be in theaters on September 13th which is a Friday! 🙂 James Wan’s previous horror movie The Conjuring will be available on DVD soon. Pingback: 31 Days of Halloween: Day 27: Dead Silence (2007) – Another James Wan- Movie that will give you Goose Bumps | Simon Says... WATCH THIS! Pingback: 31 Days of Halloween: Day 16: Saw (2004) – A Gore Fest with extremely smart Story and Jaw Dropping Conclusion | Simon Says... WATCH THIS! James Wan is a great director. Have you seen the Conjuring yet? Oh yes, I enjoyed it a lot! He is a genius when it comes to cinematography and creating the right mood. I like the first three part of Saw, too!